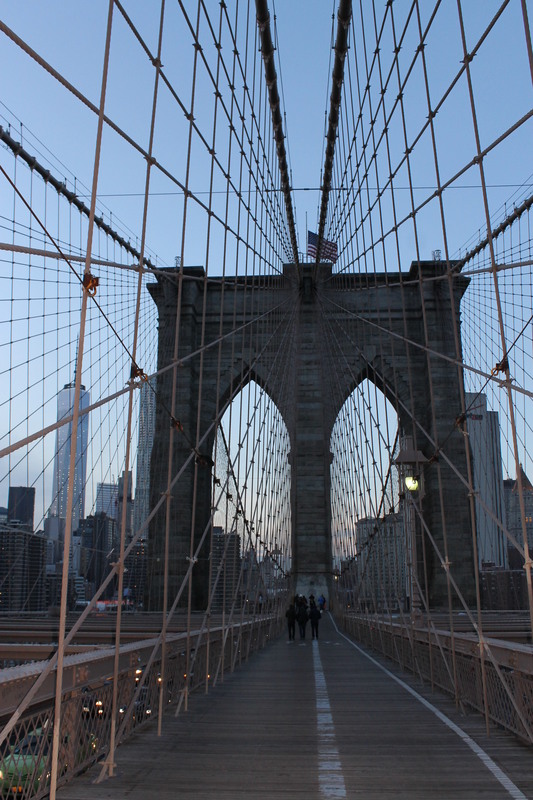 Here’s a secret admission for you – I totally didn’t plan to be crossing the bridge at dusk. I’d intended on crossing in daylight, to get some cool photos. But I got distracted by pie. It wasn’t my fault – it was Four & Twenty Blackbirds’ and their sugary goodies. But, turns out that it was all for the best (pie usually is), and I got the most gorgeous shots on our way back to Manhattan… Also, if you head over there and want to walk it, the entry to the walk way on the Brooklyn side is the corner Adams and Tillary. Wish someone had told us that. Would have saved about 2km walking to find the entrance. Probably lucky – I had some pie to walk off. 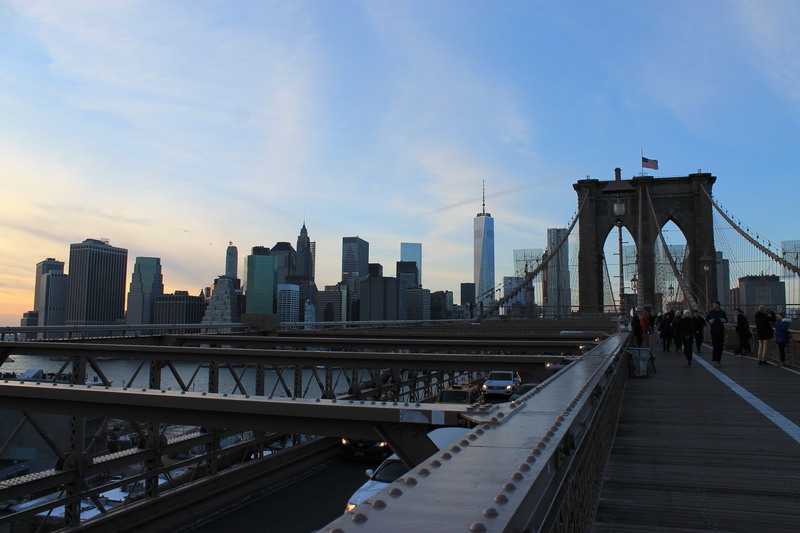 Absolutely stunning shots of the Brooklyn Bridge Jess! 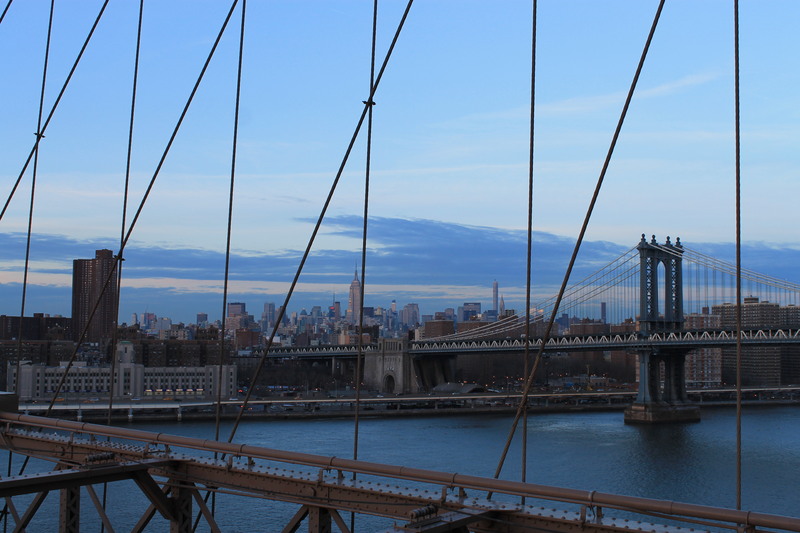 I walked across it on my last trip to NYC, also at sundown by chance but it was at the end of a really fun but very long day of walking for miles and by the time we were half way down the bridge, I was absolutely starving, really hot and supremely grumpy!! My poor husband took the brunt of it and then we spotted a frozen yoghurt truck at the other end of the bridge – and then I was a new woman! Ohh thank you so much 🙂 Hahaha omg I can COMPLETELY relate to the hangriness… my husband coped it too a few times, as I did in return! We saw a few food carts at the end, too!